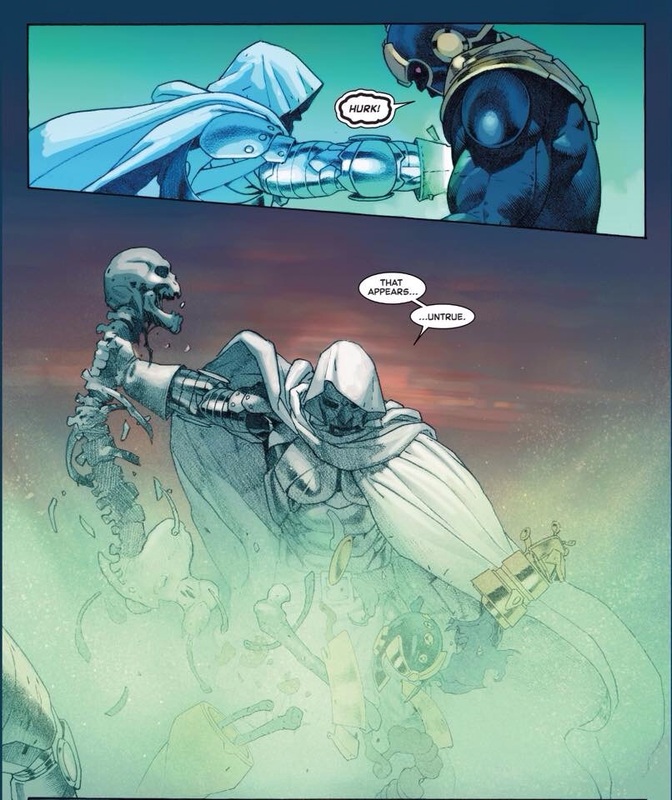 The winner of last week’s poll with 54% of the vote was “God Doom Powers Activate” from Secret Wars #8 by Jonathan Hickman, and Esad Ribic. 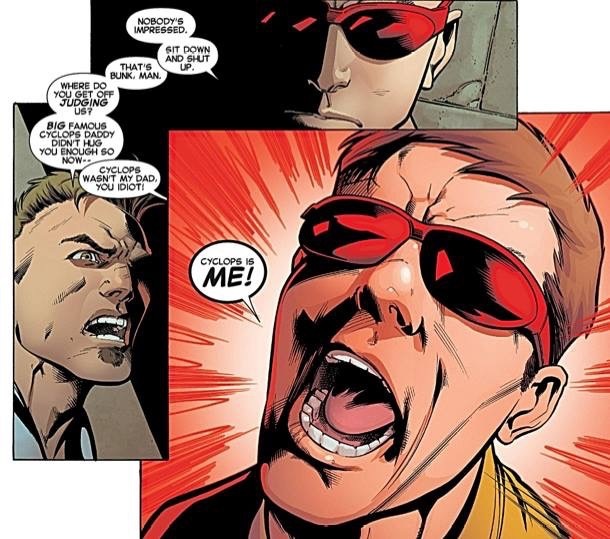 Why: I love how Cyclops just exploded in this panel telling Austin that he is the real Scott Summers. 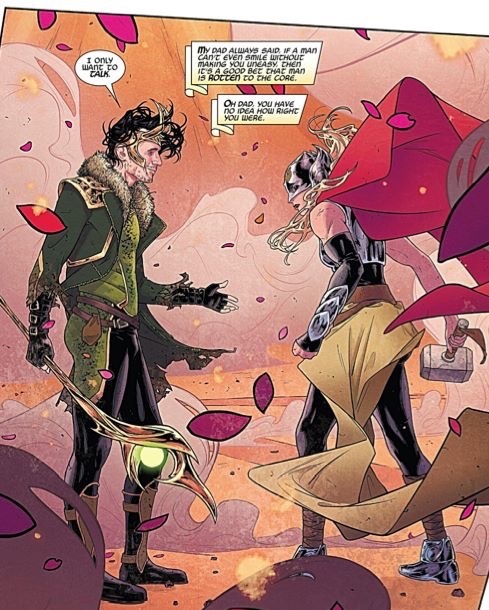 Why: Loki and Jane Foster face to face! This is going to be good. 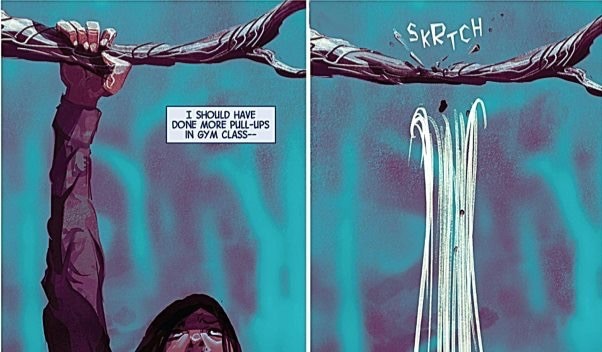 I also really liked how the last page of this issue tied in Jane’s beginning monologue. 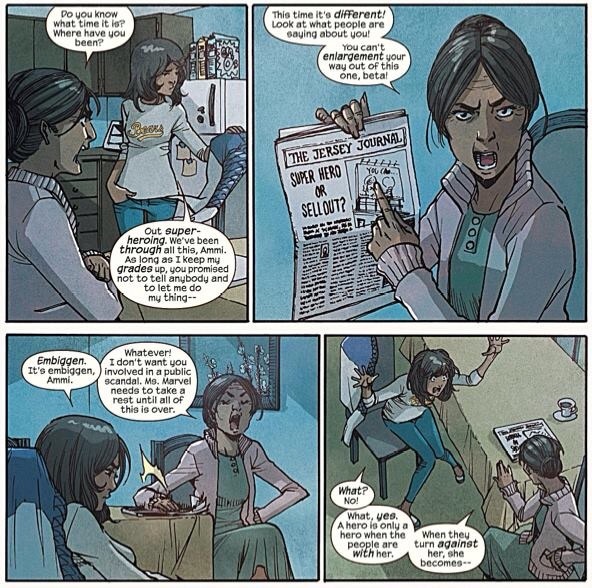 Why: I have been waiting for Kamala and her mother to interact especially because Kamala’s mother knows she is Ms Marvel. 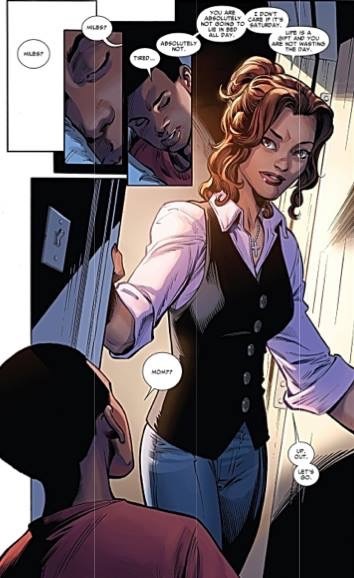 Why: Now I am really curious to see how Miles’ mother is still alive. 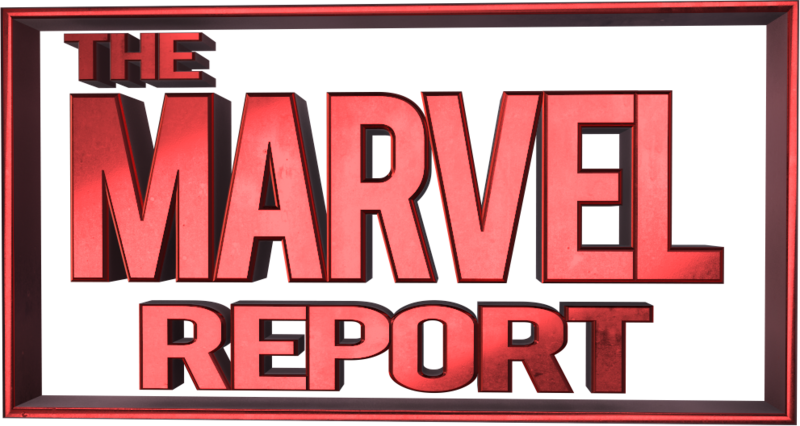 I guess we are going to have to wait for Spider-Man #1 to find out. 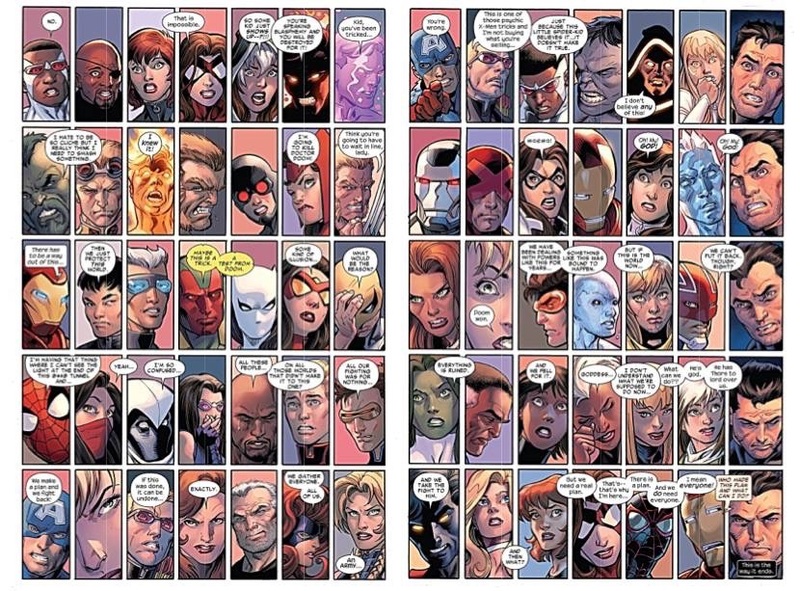 Why: Story wise this got a little boring, but it was cool to see everyone react to Doom not being God. 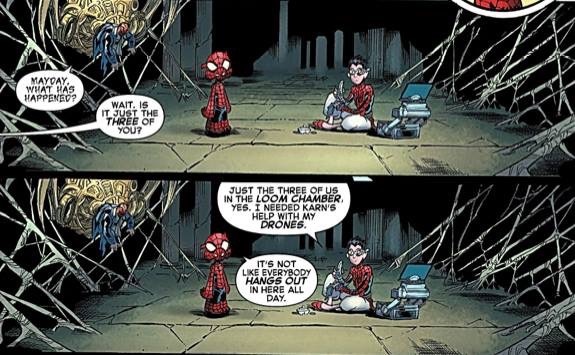 Why: I love Spider Ham’s sense of humor. 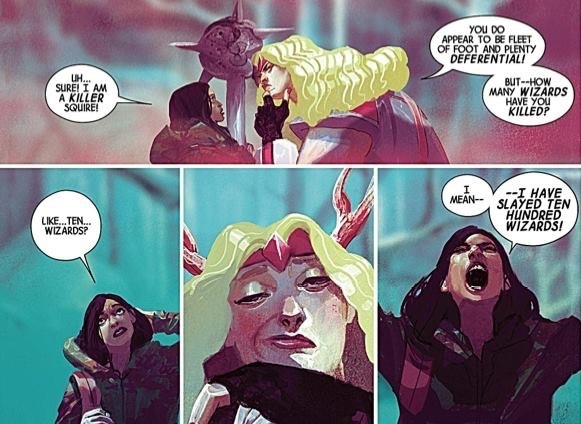 Why: Everything Becca should have done before going to Weirdworld. Why: Becca lying about killing wizards was hilarious. 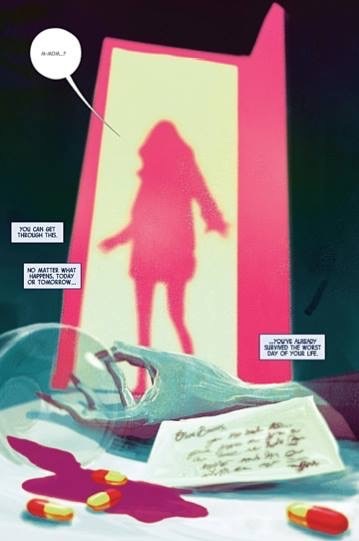 Why: In the beginning of the issue we find out Becca’s worst day wasn’t going to real world and the reveal is heartbreaking.